Rev. 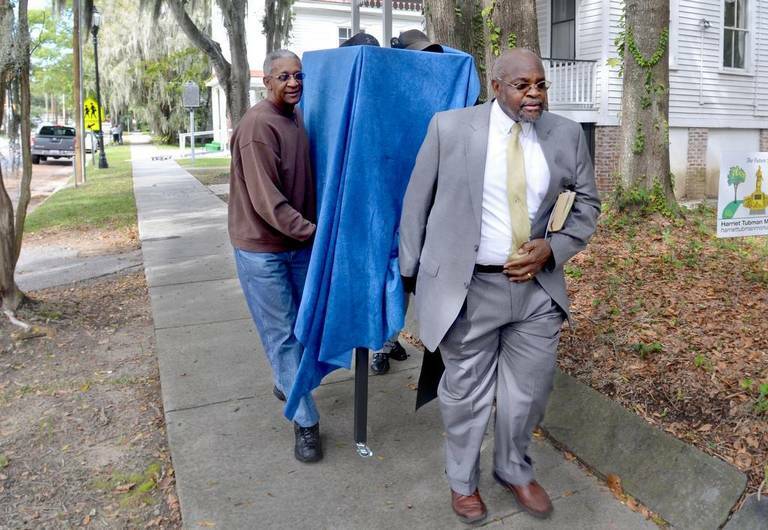 Kenneth Hodges leads the charge in carrying the display case of the Harriet Tubman Monument model with the help of Brother Abraham Simon, left and Deacon Howard Reeves, not seen, along the sidewalk of Craven Street for the Tuesday afternoon public unveiling on the grounds of Beaufort’s Tabernacle Baptist Church. Hodges says about 20 percent of the $500,000 cost has been raised.